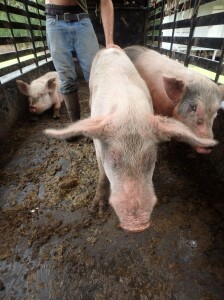 Over the past month, state veterinarians Drs. 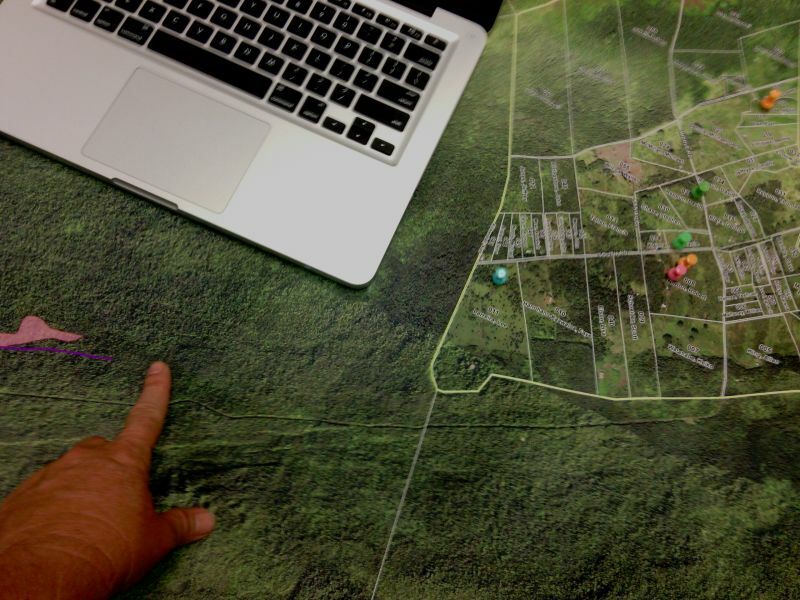 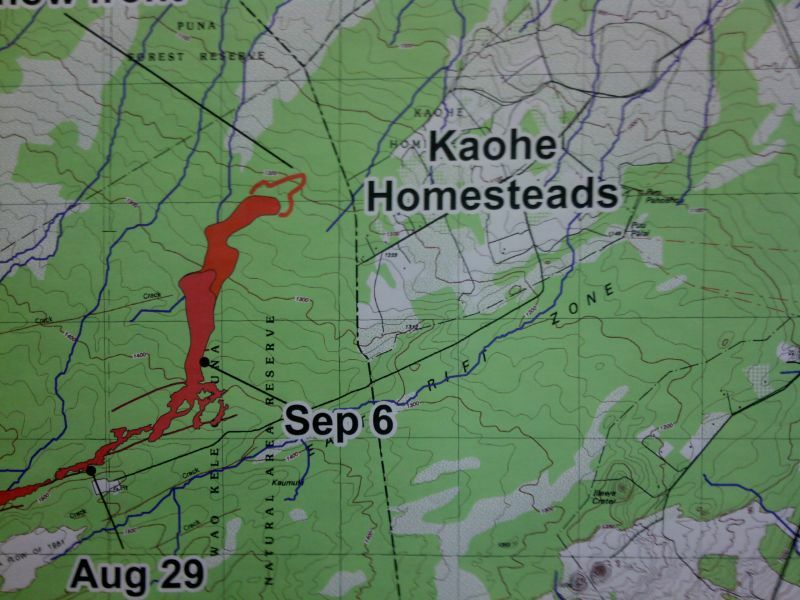 Jason Moniz and Kim Kozuma have been working on plans to move livestock from the Kaohe-Pahoa area in case the lava flow endangers livestock on ranches and small farms. Knowing that smaller farmers would have trouble transporting their livestock and also locating a temporary home, Drs. Moniz and Kozuma began planning early – locating state lands and private ranches where livestock could be taken for short-term and possibly long-term relocation. 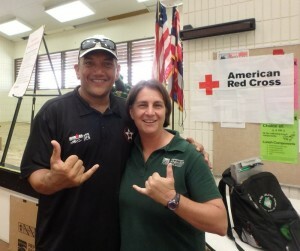 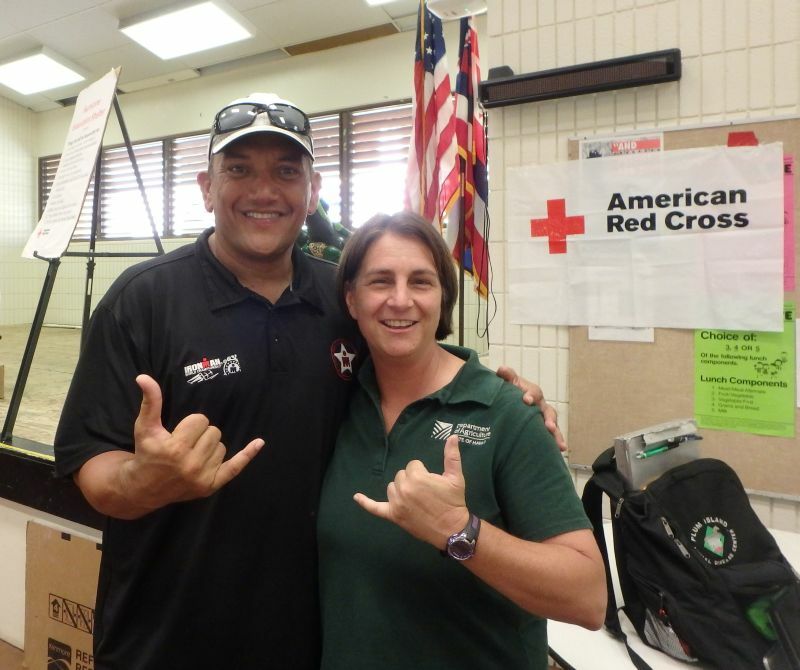 They worked closely with Hawaii County Civil Defense and the the Mayor’s office and other concerned citizens. 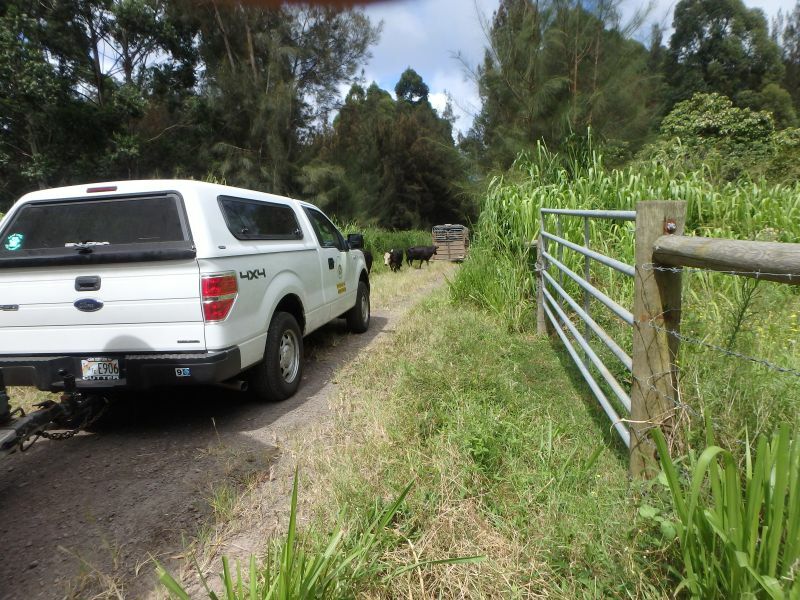 As the flow got closer, they teamed with local ranchers to move cattle, horses, goats, sheep, swine and poultry out of the Kaohe Homestead area. 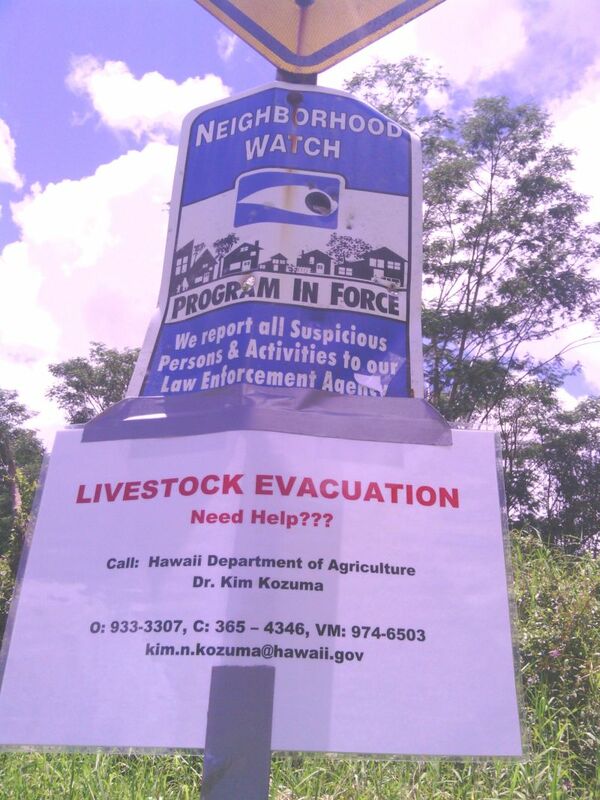 The plan was to move all the livestock in advance so that movement of animals would not interfere or hamper the later evacuation of people from the area. 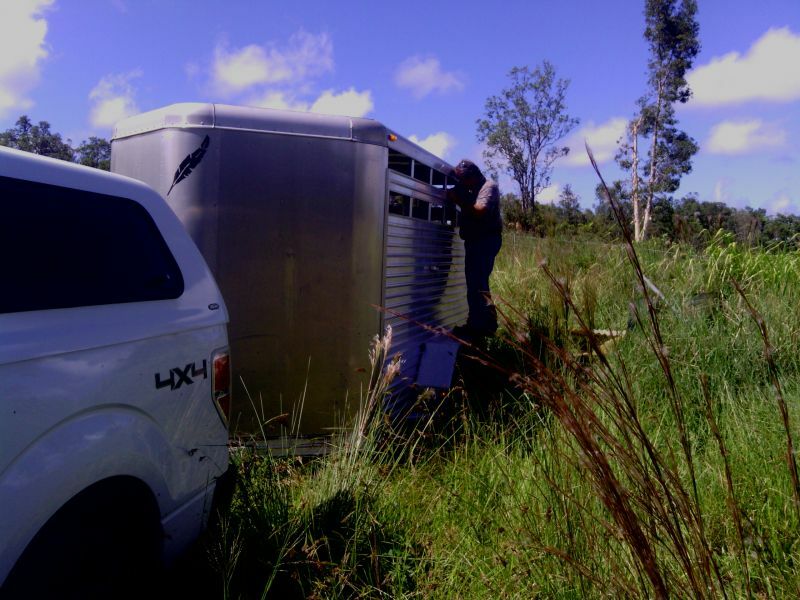 An early estimate include the movement of about 60 cattle, 20 horses, 20-25 goats/sheep, 9 pigs and 40 poultry from the Kaohe Homestead. 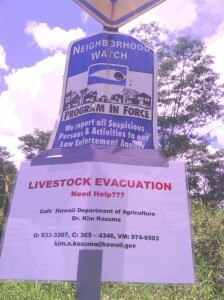 If the lava flow progresses towards Pahoa, more livestock from larger operations will be in jeopardy. Our veterinarians are working on plans for that too. 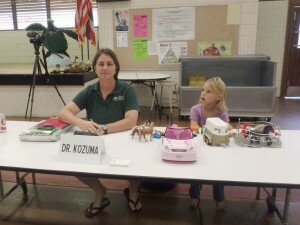 Dr. Moniz checks livestock prior to transport. 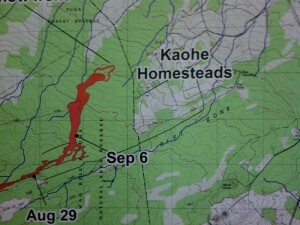 Aerial map of Kaohe Homestead. 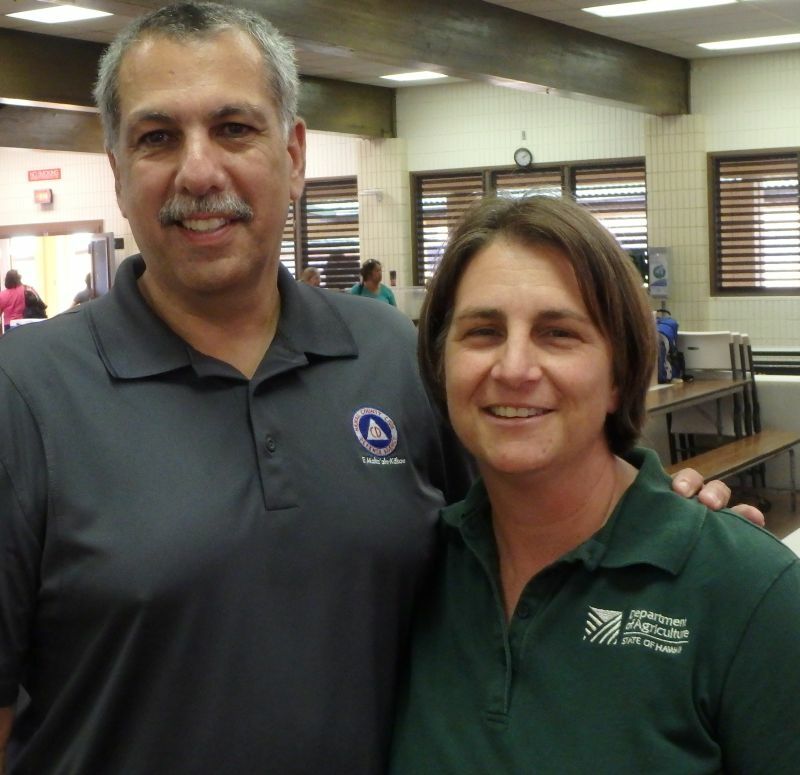 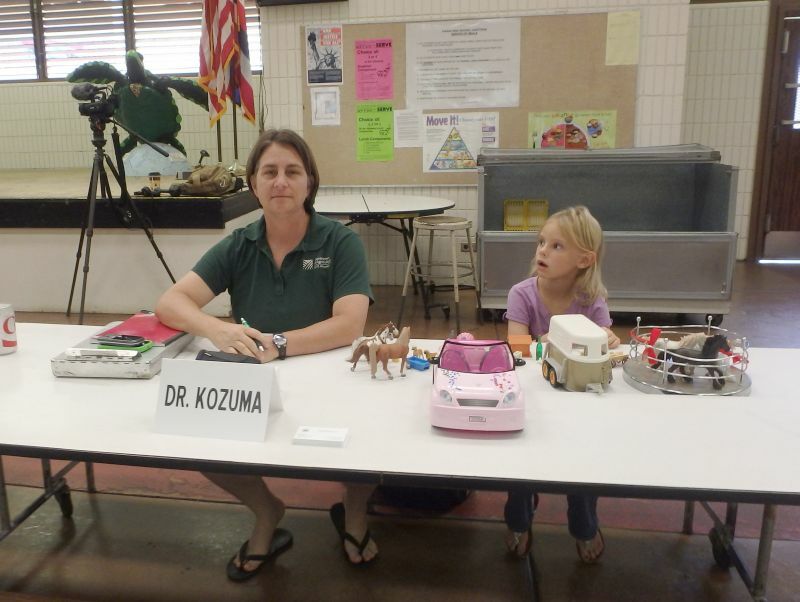 Dr. Kozuma and daughter at the Pahoa Emergency Meeting on Sept. 12.